^ Campus Map. West Virginia University. Callahan, James Morton. 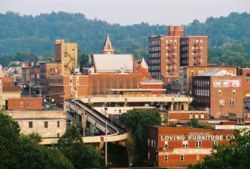 History of the Making of Morgantown, West Virginia. Morgantown, West Virginia: West Virginia University. 1926年. West Virginia University Public History Option for the Morgantown Bicentennial Commission. Morgantown a Bicentennial History. Morgantown, West Virginia: Monongalia Historical Society. 1985年.